Welcome to the first ever Light Up A Life Blog! Each month, I’ll be shining a spotlight on one of our partner charities to raise awareness of the amazing work going on all year round. This will shed light on the operations of the various charities we support, so that come Light Up A Life 2018, you’ll be more equipped to choose your activities! 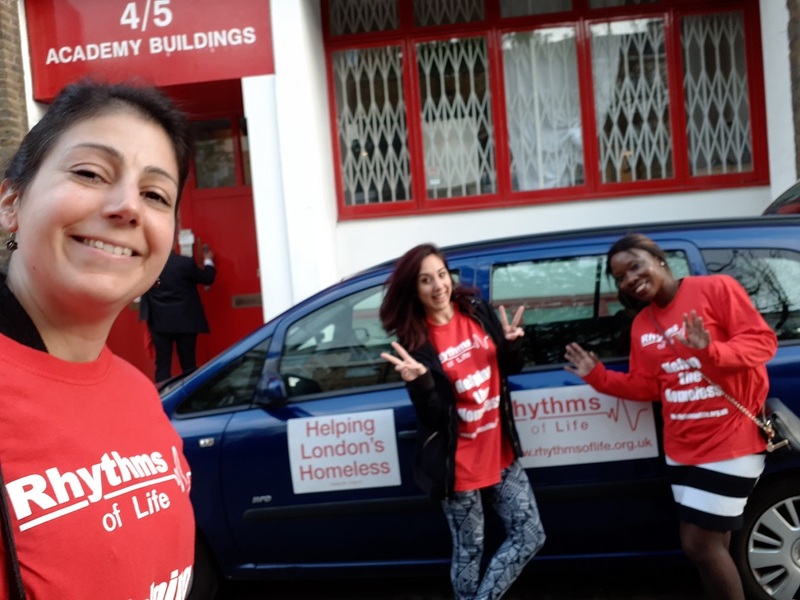 For March, I’ll be focusing on Rhythms of Life, a homeless support centre run entirely by volunteers! 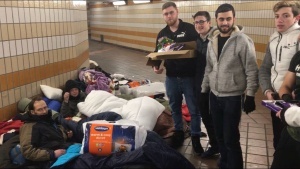 Their inspiring founder, Andrew Faris, a former rough sleeper, has invited me to spend time there every week, so I’ll be keeping you updated on how they serve our homeless friends. For now though, an update on what we’ve been up to so far this year. As the cold spells of February just keep coming, I am warmed by the memories of Light Up A Life 2017. It was only two months ago that nearly 800 volunteers gave their time, energy and love to 35 different charities and communities, and in doing so uplifted people in need throughout the winter holidays. Yet the work did not stop in January. We still had quilts to deliver, and thanks to a number of dedicated volunteers, the beloved bedding reached even more refugees, shelters and individuals, with some even being delivered to those forced to sleep rough on the Calais border. So to all the volunteers who relentlessly gave up their time to continue this great work beyond the main part of the project, we extend our deepest gratitude to you. Since Light Up A Life 2017 finished, we have also been developing our interfaith connections, with a wonderfully successful pilot event on 28th January hosted by the community of the Muslim Cultural Heritage Centre at the Al Manaar Mosque in West London. The mosque has been instrumental in supporting the community affected by the Grenfell Tower fire, and continues to provide support daily. 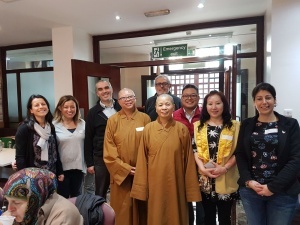 Together with the London Fo Guang Shan Buddhist Temple community, who cooked a hearty and nutritious traditional vegetarian Chinese meal, Light Up A Life volunteers joined hands with both communities to serve food and socialise with those who came to eat. 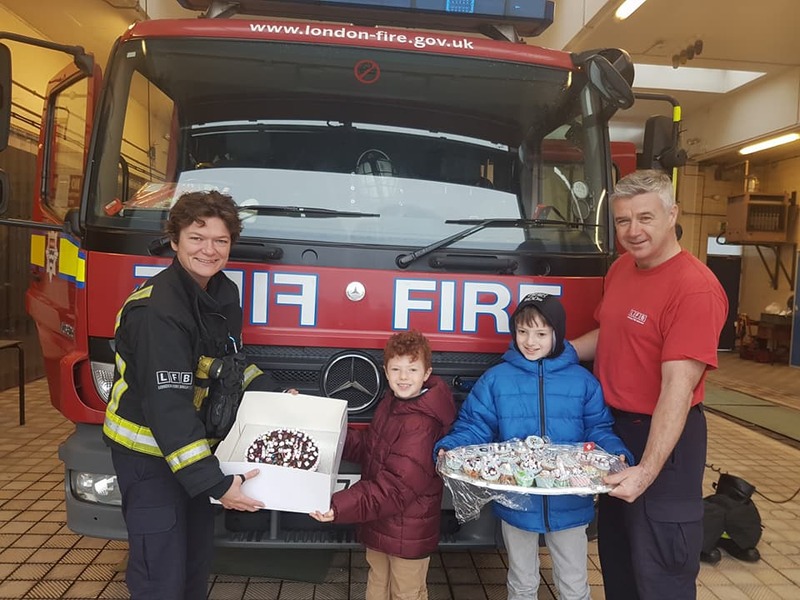 The guests included members of the mosque community who would otherwise be alone, those in need of free meals, and members of the community affected by the Grenfell Tower fire. On a personal note, I felt truly heartened by the atmosphere and team spirit we shared with the Islamic and Buddhist communities, and I am grateful to say that together we served approximately 130 people. It was genuinely inspiring to see that for some members of all three communities, this was their first encounter of the others, and I felt honoured to be part of their first impressions! I am also grateful to have learned more about Buddhism and Islam as religions and cultures, and feel like I am now walking through life with my eyes and heart more open than ever before. Click here for coverage of the event on BLTV! With this successful and encouraging pilot event under our belts, we are looking to continue this important work towards a more peaceful world – an important part of Tikun Olam (repairing the world). 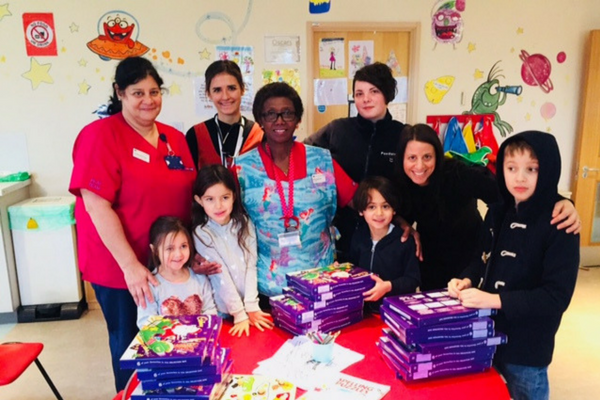 With so much news to the contrary these days, not least the recent record highs of anti-semitism, we feel that investing time and energy in learning about and reaching out to those with whom we are not yet familiar, is a vital response. Please get in touch if you would like to be part of our journey! · Community/Synagogue Cooking Clubs for the homeless and needy.